My books now in paperback + a plea for help! Yes, I have some rather exciting news! All of my books are now available in paperback! How awesome is that? 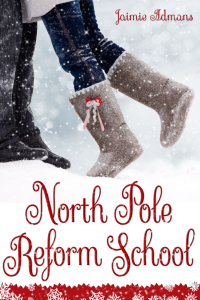 North Pole Reform School is ready but not out until November 6th! The second part of this post is a little plea for help. On Wednesday (until Sunday) Afterlife Academy is going on a free promotion. The Kindle version will be free to download for five whole days, to coincide with Halloween and the start of NaNoWriMo (the first draft was written for NaNo a few years ago!) Last time I did this was with Kismetology in April, and it was very successful, reaching #7 in the overall UK chart, in no small part thanks to you lovely people who read this and share my ramblings! So, on Wednesday, when the book is actually free, I will be, um, everywhere, talking about it and plugging it. If you have a chance and could mention it on Twitter, FB, or otherwise, or RT any of my promo posts, that would be fantastic! I promise I’ll attempt not to bore you all to death! Also, if you’ve ever fancied reading it but not bought it yet, this is a good time to get it for free, and if you have read and enjoyed it and know someone else who might like it, please feel free to send them to Amazon between Wednesday and Sunday! UK Here and US Here! The third part of this post is a plug. My friend Ashley has just started up her own blog touring company, so if any of you are authors who need a blog tour, promo blitz, or cover reveal with very reasonable prices, or if you’re a blogger who fancies hosting some tours, check out Paranormal Sisters Touring! I’m slightly involved in it too by designing custom banners for the tours! Kismetology is free for the next four days! My very first novel, Kismetology, released all the way back in September when this all began, is finally going on a free promotion! It’s had some great reviews and a wonderful response in the months since it’s release, and I should apologise to everyone who has previously bought it for full price! From today (April 18th) until Sunday (April 21st) the book will be completely free to download from Amazon! It’s free in all countries, so you’ll be able to grab it from your local Amazon too! Mothers. Can’t live with them, can’t live without them, can’t live three doors down the road without them interfering in every aspect of your life. Mackenzie Atkinson’s mother has meddled in her love life once too often and something has to be done. Mackenzie decides to turn the tables and find love for her lonely mother. Her lonely and very fussy mother. Surely finding an older gentleman looking for love won’t be that hard, right? If you’ve ever thought that boys grow up, here’s the problem: They don’t. Ever. And Mackenzie is about to learn that the hard way. 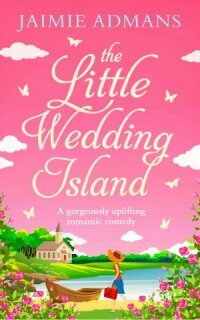 Faced with a useless boyfriend, dressed up dogs, men who wear welly boots on dates, men who shouldn’t be allowed out in public, and men who make reptiles seem like attractive company – will she ever find the perfect man for her neurotic mother? Remember it’s only free until Sunday so be sure to get your copy quick, and please feel free to share with any friends you think might enjoy it too! Creepy Christmas is now free on Amazon! It’s taken a good couple of months of trying to get Amazon to price match, but I am very happy to say that my second book – Creepy Christmas, which was released last November – has finally gone free on Amazon! I know it’s a bit out of season for April, but who knows how long it will last, so grab a copy while you can! Strange things are occurring in the neighbourhood. A mysterious snowfall, one Santa too many, and eyes of coal that watch you wherever you go. 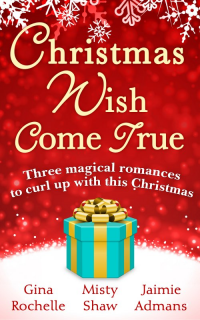 Ten-year-old Kaity is busy trying to get rid of her mum’s creepy new boyfriend and reunite her divorced parents, but her curiosity gets the better of her when she meets the new mall Santa and his enchanting daughter Blizzard. Can Kaity help them save Christmas from being destroyed by Anti-Claus – a pretend Santa who is a permanent member of the naughty list? Creepy Christmas is a 50,000 word (approx 200 pages) novel suitable for ages 8 and upwards. Afterlife Academy is out today! It’s release day! I can’t believe I’m on my third book already, but here it is! Afterlife Academy is out today! You can read a sample or buy the book on Amazon.co.uk or Amazon.com. You do not need a Kindle to read it. Amazon do a lovely little free Kindle app, which you can download to your computer, phone or tablet-thingy, and read any Kindle book you wish on it. The party is happening here! Right now, and all day today! You can add it on Goodreads here. Afterlife Academy is going on a blog tour in May – sign ups are still open here! Yes, I’m still ridiculously excited about my first blog tour! It’s here! Afterlife Academy Cover Reveal! The day has arrived! I can finally show you the cover for my third book – Afterlife Academy! I absolutely love this cover, and I hope you all like it as much as I do. What do you think? Honest opinions welcome, even if you hate it! 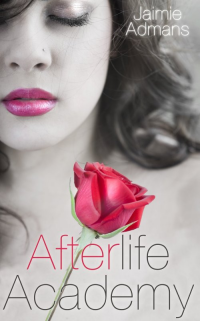 Afterlife Academy is a Young Adult paranormal romantic comedy, and it will be released on March 15th. That’s next Friday! EEEEK! Preparations for Book 3! Afterlife Academy is coming soon! Oh dear, I’ve neglected this blog a bit, haven’t I? I have been busy preparing book three for release. It’s called Afterlife Academy – a Young Adult paranormal romantic comedy – no, it doesn’t fit properly into just one category! It’ll be released on March 15th, with the cover reveal coming on March 8th. You can already add it on Goodreads: HERE! Sign ups are still open for the cover reveal. I’m really excited about this cover – it’s the first one that feels like a proper book! If any bloggers fancy getting involved with the cover reveal, you can still sign up HERE! And in more very exciting news: Afterlife Academy is going on tour! I’m doing my very first blog tour! It will run May 10th-19th, and if any bloggers would consider hosting me and the book, sign ups are open HERE! It should be a lot of fun! I also finalised the ARC copies yesterday, so if anyone would like an early review copy in exchange for a review, just drop me a line! Having recently enrolled a book – Creepy Christmas – in Amazon’s KDP Select program for the first time and ran my first free promotion for a few days last week, I thought I would write a bit about my experience. I don’t think I went into the promo best prepared. 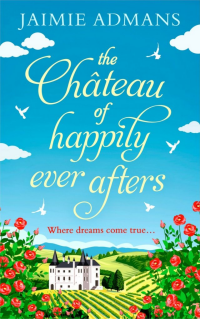 For a start, I used my free promo days in conjunction with the book’s release day, which meant that the book had no reviews (it does have a couple now – thank you, lovely people!) I was advised against doing it, and friends suggested I wait until people had bought it and left reviews, and then run the free promo. Obviously good reviews help buyers decide whether to download the book or not, and also increase your chances of getting picked up by the free Kindle book promotional websites (who mention your free book to thousands of their followers) and almost all of which require your book to have a high rating before they will consider promoting you. I didn’t want to wait, mainly because I felt it would be unfair to expect my friends, family, and other readers to buy the book only for it to be free a couple of weeks later. It’s only 77p anyway, so not a huge amount of money, but it just felt wrong to ask people to buy it, knowing it would soon be free. Another thing I’ve heard about Select is that it is much better suited to authors who have a series of books out – you use the promo days to give away the first book in a series, hoping that customers will come back and buy the other books from that series. I can safely say that not only is Creepy Christmas not part of a series, but I don’t have any other books out in the same genre. In fact, I only have one other book out, and it is most definitely not children’s fiction! So, overall, I could have gone into it better prepared. 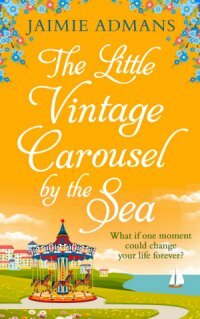 I should have given myself more time to submit my book details to the freebie promo sites – I gave them about a week’s notice, when I should have pulled my socks up and done it two or three weeks earlier. 12 from Amazon Germany, 1 from France, and 7 from Japan. Chart wise, in the UK I reached #242 overall in the free chart, and #28 in children’s books. In the US it was #142 overall and #2 in children’s books > Christmas. It also led to my first borrows from the Kindle Owners Lending Library, both here and in the US – which I admit that I got ridiculously excited about! The free days kicked off on a Thursday and were scheduled to run for three days. By the end of Saturday, the downloads were still coming in, and I was so close to getting 2000 in the US that I decided to add another day to the promo, so it ended up being free on Sunday as well. I also conveniently forgot to mention this to anyone! The downloads still came in though, and I was very glad that I did extend it, as the number was well over 2000 by the time I got up on Sunday morning! I worked hard to promote it, but I could have done better. I should have been more organised and not ran around like a headless chicken on release day. I was also really lucky to have some amazing support on Twitter and Facebook, with friends, family, and even people I’d never met before sharing or retweeting the links. I want to say a HUGE thank you to everyone who helped. I know you all must’ve been sick of hearing about Creepy Christmas by the end of the promo, but I really appreciate the support so much! In other news: I am coming to the end of NaNoWriMo – one half-novel is now turned into a full novel, and I’ve made a start on the next half-finished manuscript. 46,000 words written so far this month – almost there! And speaking of Kismetology, it’s currently on special offer and reduced to 99p / $1.60 for a limited time only! Creepy Christmas is out now! And it’s free! It’s release day! My second novel – Creepy Christmas – is out today! It’s available to download from Amazon, and for the first three days only – it’s free! Yay! Amazon: FR, DE, ES, IT. 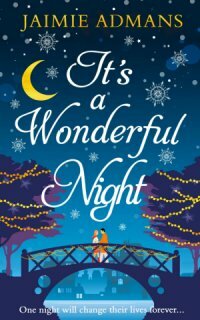 The book is a fun, festive, family read. It’s aimed at children/middle-grade readers over the age of 8, but of course can be enjoyed by anyone! It won’t cost you a thing to download if you get it in the next three days, and you might just like it! Please pass the link on to anyone else who might be interested too! 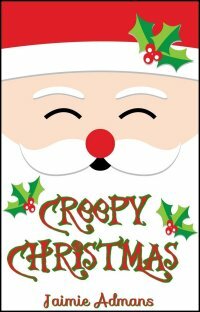 PS: You can add Creepy Christmas to your books on Goodreads: Here! 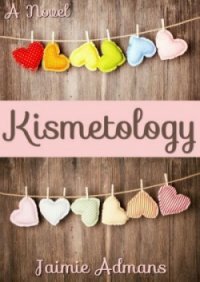 PPS: There’s still a chance to win a copy of Kismetology on the lovely I Heart Books! Creepy Christmas: Cover, Blurb, Release Date and Free Promo! I seem to have been talking about this for months, but the release date is finally here! Creepy Christmas will be out on November 15th – otherwise known as this week! Thursday to be precise! It’s all very exciting! Creepy Christmas will be FREE for the first three days of its life! It’s available on Amazon, and will be free to download on Thursday, Friday, and Saturday! Please download it if you have a chance, and please share the link if you know anyone else who might like it, I would really, really appreciate it.